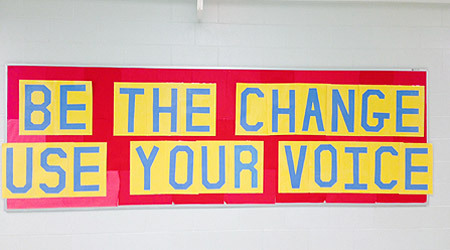 If you have a VOICE in our community–EVERYONE does–and, especially, if you can reach the masses with that voice you are doing a great injustice if you do not use your voice for the greater good of the PEOPLE. Please inform others about how they can contact their senator/rep/etc RE gun control, aiding PR, TX, and the several other issues we face at the hands of a BLIND LEADER. The only way to change things in our world is to become ACTIVE in influencing change and stepping up to the PLATE OURSELVES. WE HAVE THE POWER TO CHANGE/HELP/HEAL THE WORLD. TRANSGENDER rights are HUMAN rights!! !